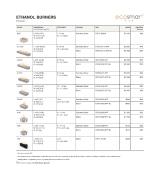 Our diverse collection of ethanol firebox inserts are ideal for creating stunning wall or cabinetry features or an easy way of converting an existing traditional fireplace to a clean burning ethanol fire. Installation is a breeze with all the clearances built into the design for you. 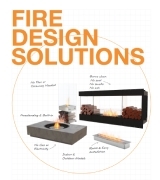 EcoSmart Fire's extensive range of fireboxes allow you to create a fire design specific to your requirements. 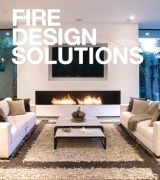 Custome fireboxes available for unique fireplace solutions. EcoSmart fireboxes are completely self-contained, which makes them much simpler to install than gas or wood burning fireplaces. No flashing, roof work or plumbing required for installation. Intelligently designed for optimum heat output, flame enhancement and safety, our high quality stainless steel fireboxes will last a lifetime. 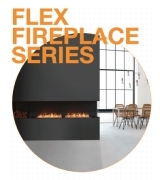 Removable fireplace screens made from low-iron toughened starfire glass. All the clearance work has been done for you. Simply create an insulated cavity to fit the size of your firebox and insert it into position. The pre-drilled holes make fixing the firebox into position quick and easy - then dress around the firebox with your chosen finishing touch. Streamlined insert with XL500 burner that creates a unique viewing window. Lightweight, zero-clearance firebox that satisfies the demand for longer, slimmer fires. Long-line firebox with double opening and three burners offering an elongated flame.